The first batch of US-made fifth-generation F-35 fighter jets has arrived at the Iwakuni military base in southwestern Japan, marking their first overseas deployment. A group of F-35 fighter jets arrived at the US Marine Corps Air Station in the Japanese prefecture of Yamaguchi on Wednesday, Kyodo news agency reported. It did not specify the exact number of jets, yet it is known that they are only a part of the batch of 16 aircraft the US military announced for relocation. Washington officially notified Japan of the deployment in October. The F-35s are expected to replace the F/A-18 and AV-8 Harrier aircraft currently deployed in Japan. The bases are the first foreign US bases to receive F-35s. The move is aimed to increase the importance of the Iwakuni base as a key military post in the region. Apart from F-35s, Iwakuni is also set to receive 60 carrier-based aircraft now stationed at the US Navy’s Atsugi Air Facility in Kanagawa Prefecture, with the relocation to start in the second half of 2017. The F-35 Lightning II, primarily developed by US manufacturer Lockheed Martin, is part of the F-35 family of all-weather stealth fighters. The aircraft specializes in hitting ground objects as well as performing air defense missions, and is capable of flying at supersonic speed. It’s also a flying computer, with more than eight million lines of software code in each plane. The deployment to Japan is a major milestone for the F-35 – the deployment of which has been delayed by technical issues and soaring costs. The price tag for a total of 2,443 F-35 aircraft already stands at $379 billion, which makes the jet the most expensive plane in history. 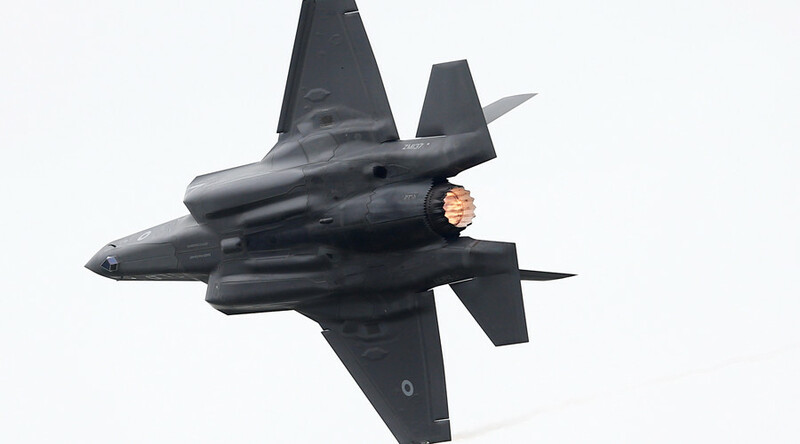 The F35’s shortcomings involve a series of hardware malfunctions and software glitches that have set the program back more than three years and pushed it $200 billion over its initial budget. In a mock dog-fight in January 2016, the jet failed to turn quickly enough to engage an F-16, the plane it is supposed to replace. Other problems have included engines catching on fire, and generally unreliable engine performance. The software system intended to identify maintenance issues was also found to give false-positive readings 80 percent of the time. 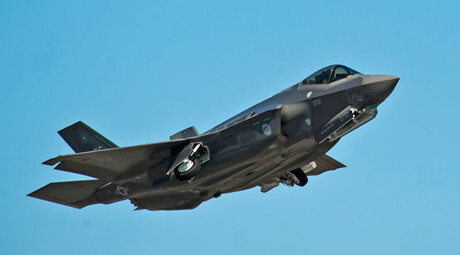 In August 2015, however, the US Air Force declared an initial squadron of F-35 stealth fighters to be ready for combat. Apart from the Iwakuni base, Washington is hosting most of its military might on the Japanese island of Okinawa. Several major US military compounds there are accommodating roughly 30,000 military personnel, according to Reuters. The presence of the troops has been an issue causing numerous tensions with the local population. In June 2016, Okinawa saw one of the biggest demonstrations in two decades, involving at least 50,000 people. The citizens rallied against the US military presence after a local woman was murdered by an ex-Marine, following a string of other incidents. The deployment comes at a time when Japan faces rising Chinese maritime assertiveness and a potential threat posed by North Korea. China continues to claim the disputed territories in the South China Sea, and North Korea has continued to carry out missile tests. Given that, just before the New Year’s, Japanese Prime Minister Shinzo Abe’s cabinet approved a record $43.6 billion Japan military budget, increasing it for the fifth year in a row, out of concerns over potential threats to the country’s security. 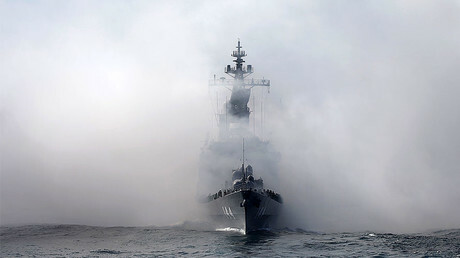 According to Reuters, Japan plans to spend the increase on mobile missile batteries, amphibious vehicles, and other equipment better suited to a mobile force, rather than tanks. Billions of yen are also to be spent on six new submarines. The biggest increase, however, is being made in research and development, which will see its budget soar from 600 million yen to 11 billion this year.